Additional Info: Main bed kingsize, second bedroom two single beds. 2018 BOOKING ENQUIRIES NOW ACCEPTED No increase to 2017 rates. Booking deposit £100, balance two months before holiday. We accept payment by cheque or bank transfer. 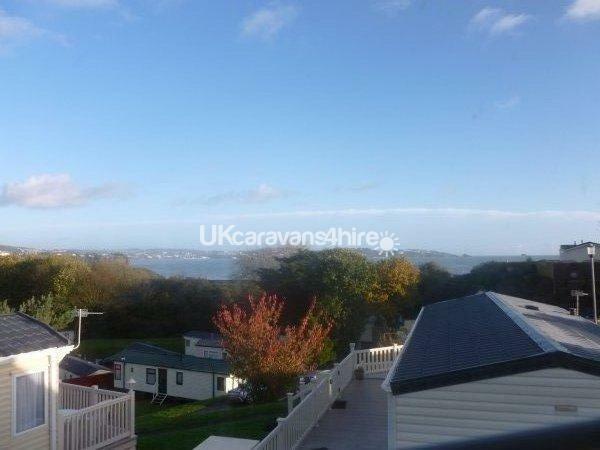 On a prime position this grassed pitch has a panoramic view of Torbay. viewed from a non slip decked area with table, chairs and umbrella. 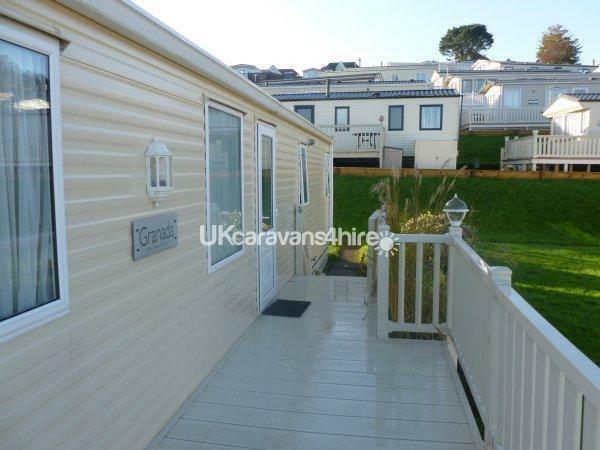 The Willerby Granada is a luxury two bedroom holiday home, the master bedroom has a king sized bed with en-suite and plenty of storage. The second bedroom has two single beds and ample storage for children's clothes. Off the hallway is a separate bathroom, shower and toilet. Bedding duvets and pillows for six people are provided. We do NOT include duvet covers and pillow cases sets, linen and towels please bring your own. 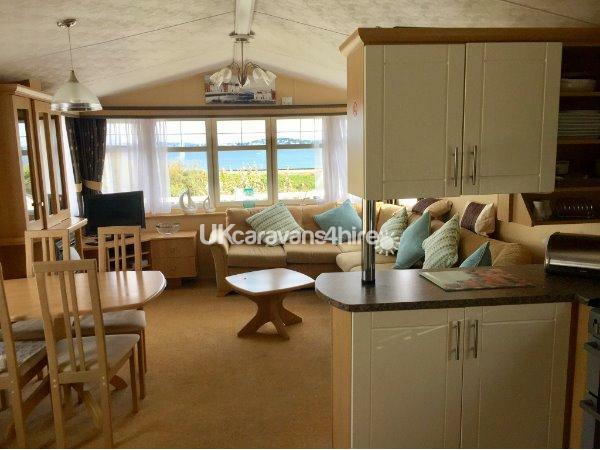 There is a large spacious, open plan lounge - dinning area with table and chairs. 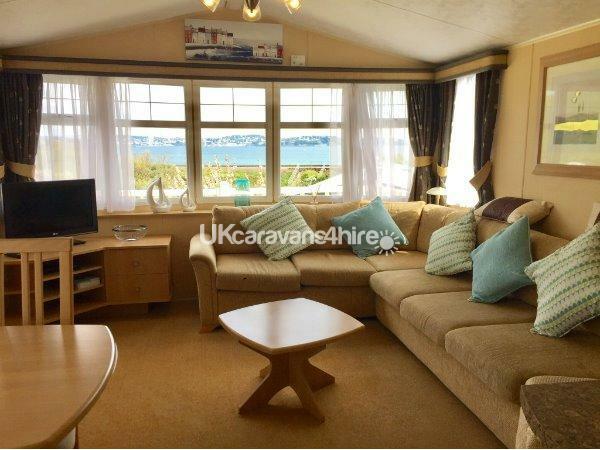 As well as an L shaped sofa seating area to view the 32" free view TV and DVD player. 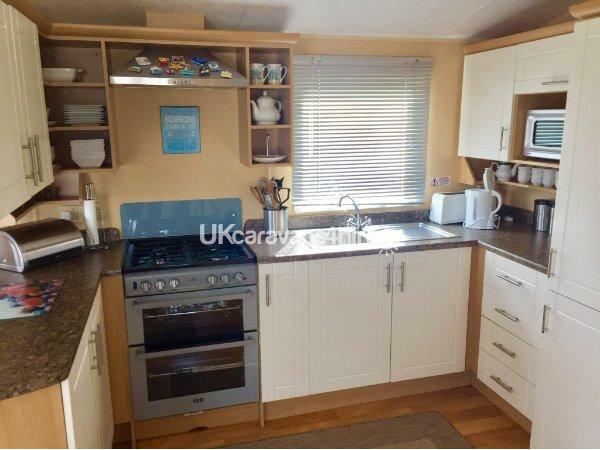 Leading off the lounge is a fully fitted kitchen equipped with cooker, oven, hob, microwave, extractor fan, kettle, iron and toaster. With all the utensils you will need to prepare a family meal. 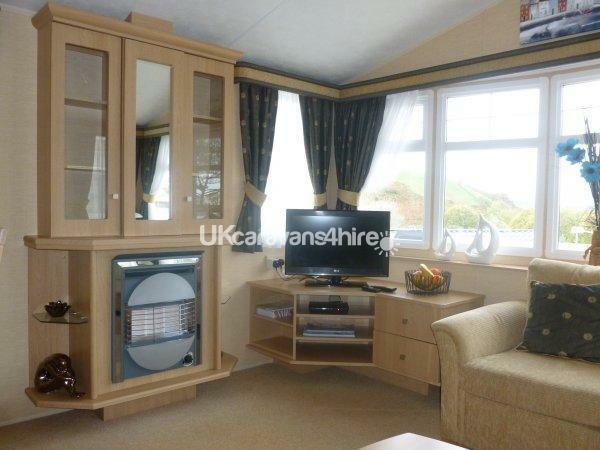 The caravan benefits from central heating, double glazing and a central gas fire in a spacious open plan living area. On the front of decking is a storage box with bucket ,spades and crab nets for children to use please return for others to use. 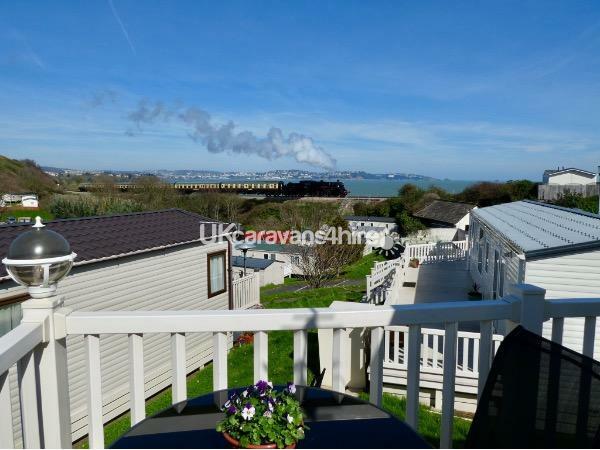 The site has a heated outdoor pool with attendants/life guards and adjacent is a clubhouse with evening entertainment and a restaurant called the Smugglers Inn to eat in or takeaway. Also on site are amusements, kiddies club, small market store and launderette. 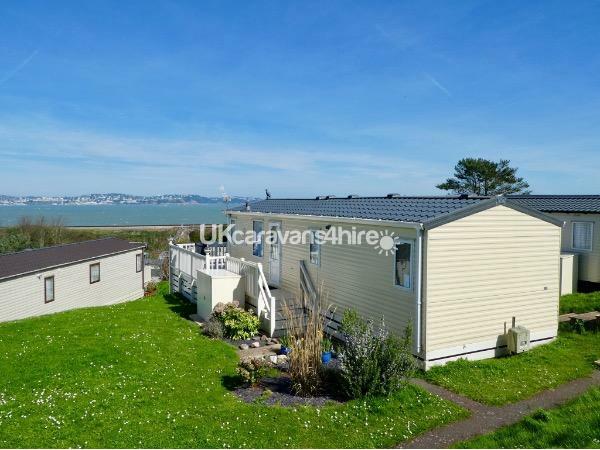 There is a wide choice of attractions and amenities within a few miles, at Torquay, Paignton, Brixham, Totnes and Dartmouth, and all can be accessed by a buses passing the top of the site every 10min in the season. 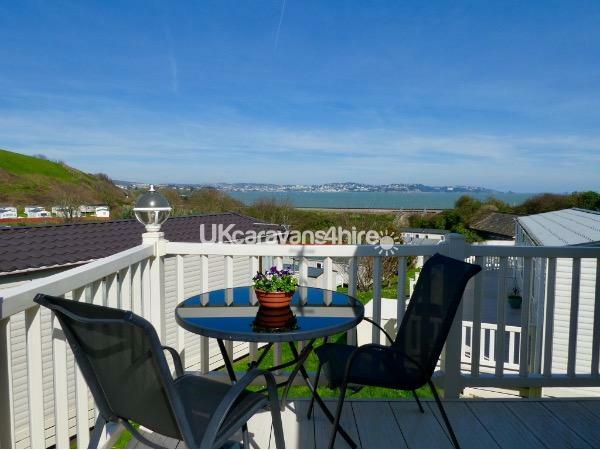 Local attractions include the steam train service from Paignton to Dartmouth, and sea and river cruises up to Totnes. 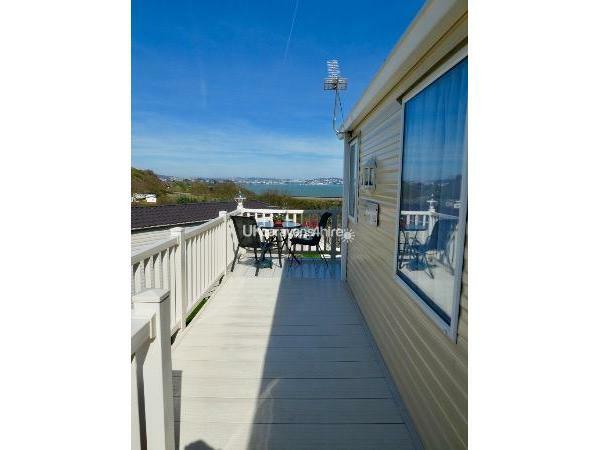 At Paignton the fun park and water flumes and two superb beaches at Goodrington and Broadsands offer hours of pleasure for children. 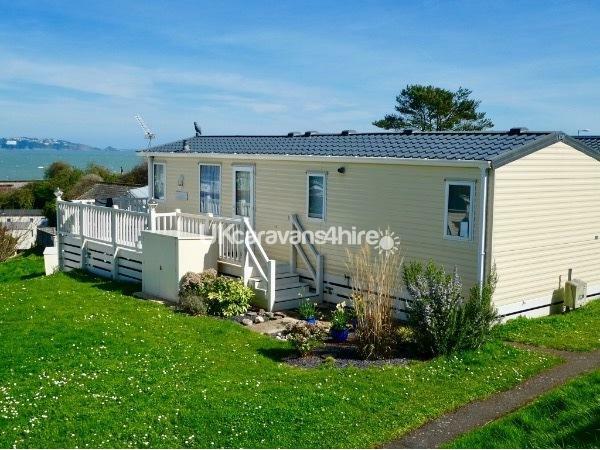 Waterside Holiday Park amenities can be enjoyed by purchasing passes at reception.